Coach Assise discusses music, sport, education, and being a boy and a man. 2018 was a banner year. What will 2019 bring? Feeding the Cats: A Distance Coach's Perspective. Andy Derks on Feeding the Cats: A Distance Coach’s Perspective. Pat VanGalen on Feeding the Cats: A Distance Coach’s Perspective. • To promote interest, enthusiasm, and improvement in track and cross-country in Northern Illinois. • To provide education and opportunity for involvement for every coach in our association by methodology. We also strive to bring in outstanding coaches and athletes from the college ranks. • To promote, publicize, and recognize achievement of our area athletes and coaches. 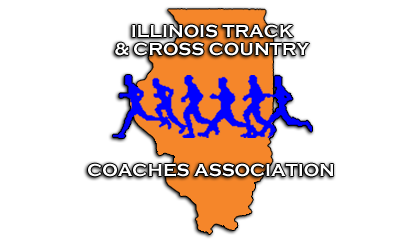 • To request the feelings of schools, coaches, and athletes of our area on rule changes, administration of track and cross-country meets to the IHSA. We strive to provide a voice representing the needs and interests of Northern Illinois in any decisions regarding track and cross-country in the state of Illinois. • To work with and generally support the Illinois High School Association. The views and opinions expressed on this web site are solely those of the original authors and/or other contributors. These views and opinions do not necessarily represent those of the ITCCCA-N board, members, coaches, and/or any/all contributors to this site. It's going to be magical at Palatine for the DNP!